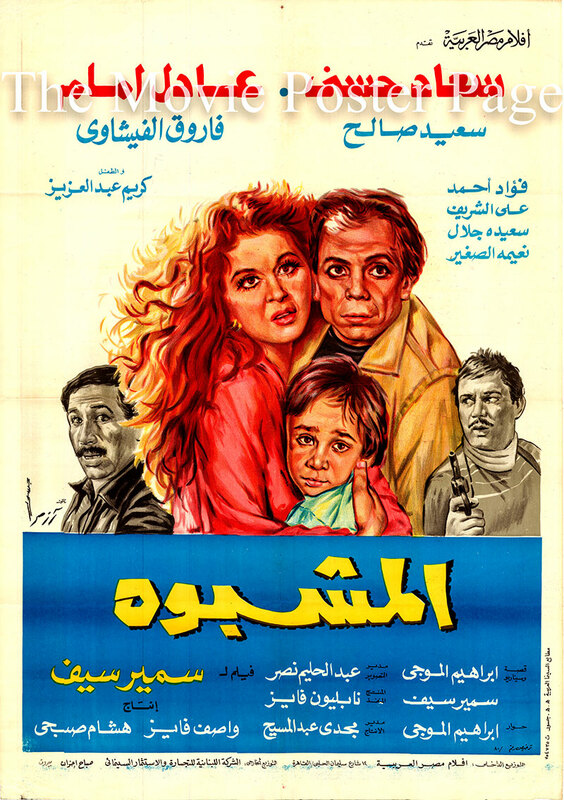 Watch on YouTube This is a 27" x 39" Egyptian poster for the 1980 Samir Seif film The Suspect based on story, screenplay and dialogue by Ibrahim al-Mawgi and starring Soad Hosny as Fatma/Batta. Plot summary: Maher [Adel Imam] was a thief who met the whore Fatma/Batta while he was robbing an apartment. They got married and decided to repent their crimes.